The Mr. Coffee® Coffeemaker + Hot Shot Station will put students on the fast track to hot food and beverage prep. This multi-tasking coffeemaker and hot water station provides the ultimate in convenience and versatility, featuring two separate water reservoirs for brewing a pot of fresh coffee while dispensing hot water for other beverages, like hot chocolate and tea, and instant foods like mac and cheese, oatmeal and more. Two separate water reservoirs let you heat water while brewing coffee at he same time. The Hot Water Station enables water to heat up in about 4 minutes to dispense up to 16oz. of hot water for hot beverages, tea, or instant meals.. You can set brew time up to 24 hours in advance, plus there is also a delayed brew feature. Conveniently fill your travel mug or standard-size bowls & mugs to simplify your prep. 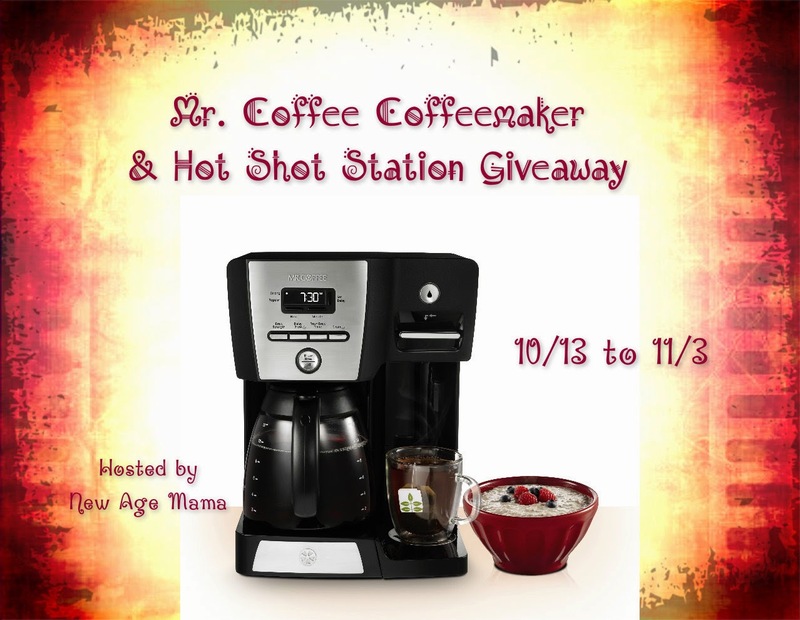 One lucky winner is going to receive a Mr. Coffee® Coffeemaker + Hot Shot Station! To enter, just fill in the Giveaway Tools form below. This giveaway will end on 10/28/14. Open to the US only. The winner will be notified via email and will have 48 hours to reply. Thanks again to Mr. Coffee for offering this fantastic prize. I would like the Iced Tea Maker 3qt. Would like to try the Tea Cafe Iced Tea Maker. I like Pump Espresso Maker (ECMP50-NP). I would love to have one of Mt. Coffee’s Tea Café Iced Tea Maker. The Tea Cafe Iced Tea Maker is a product that I would be interested in . I love ice tea. I would like the Mr. Coffee® Optimal Brew™ 10-Cup Thermal Coffeemaker, Black. 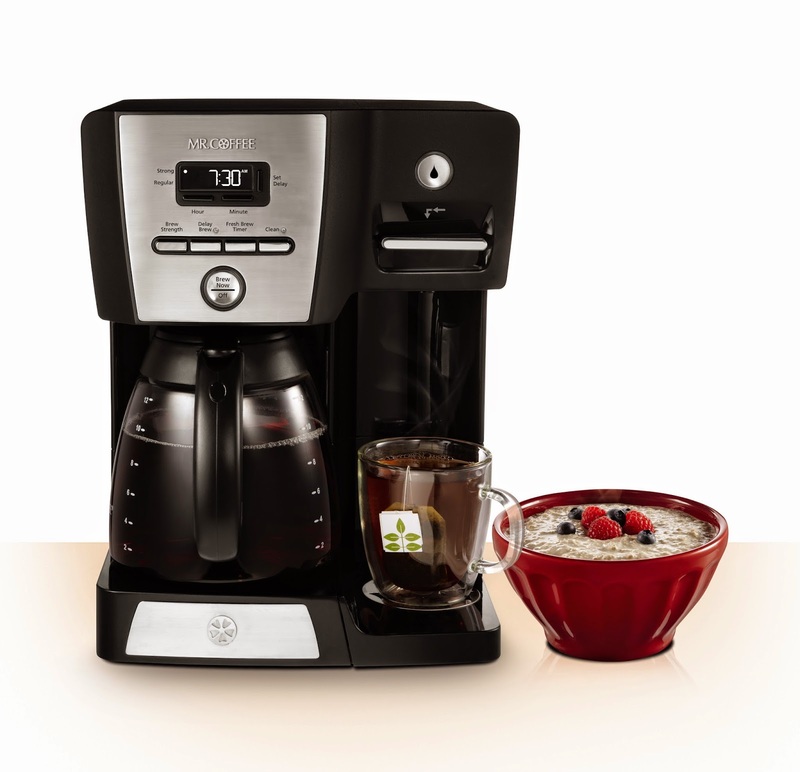 Mr. Coffee® 10 Cup Smart Optimal Brew™ Coffeemaker WeMo® Enabled. But I would settle for any Mr. Coffee pot, I’m using one right now. I think the Mr. Coffee® Optimal Brew™ 12-Cup Thermal Coffeemaker would be great. I love having a thermal caraffe. I’d love to have the Tea Café Iced Tea Maker as a change of pace from my regular hot coffee! It would be ideal to have the Steam Expresso and Cappucino Maker. We love our Cappucino and as of now this is on What I want for Christmas list. I would love to own the Mr. Coffee® Café Barista, Black. So cool!